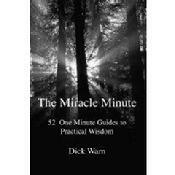 This book shines light on proven truths. Just one - seen in a new light - leads to awesome breakthroughs and changed paradigms. Written in simple lauguage, set in large type, it is the perfect gift for people on the run, for people holding meetings and it even works with people who rarely read. Each chapter stands on its own, can be read in less than one minute but leaves impressions leading to improved performance. Even more insightful and thoughtful. 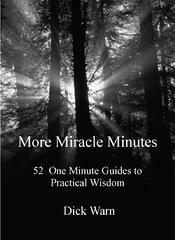 More Miracle Minutes is the second book in the Miracle Minute series and continues and expands the guides to practical wisdom found in the original book.